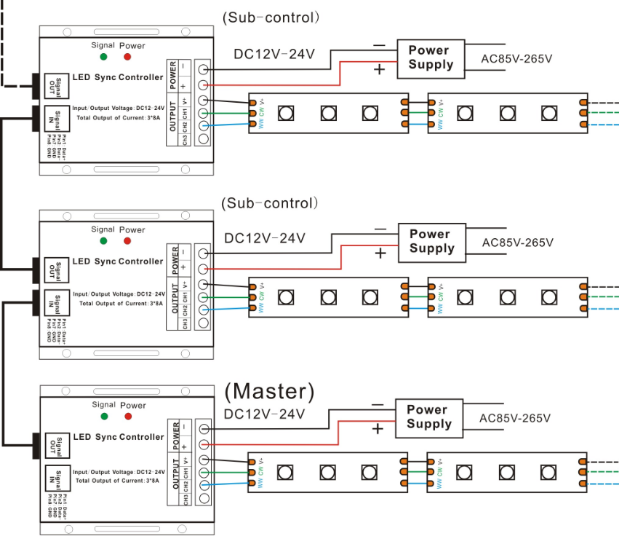 ●Designed for CW+WW constant voltage LED lights, Working voltage DC12-24V. ●Two channels output, Max. load current: 2CH*8A; Max. load power: 192W/12V; 384W/24V.